Home News and Events What is HDR? First and foremost, what is HDR and why should I care, I hear you ask. HDR stands for High Dynamic Range. Simply put, it allows your images to have a far greater range of light and dark, and far greater range of colour. Sadly, it is not something I can show via the inter-web, as you are most likely using a traditional RGB computer display, but after having spent far too much time at Dolby in Soho this month and Sony’s grading suite at Pinewood, I can tell you the difference between HDR (Rec 2020) images and the old standard (Rec 709): the deference is night and day. Last year I would have killed to be working in HDR in the arctic, as all the infinite gradation of white in the snow could be displayed (part of the reason I still struggle to describe the magic of an artic snowfield to people who have not been there), but instead we were stuck with white-is-white. Unlike some of the display technologies that have come and gone (3D - remember that one? ), or have yet to make serious inroads (I’m looking at you 4k), HDR is a sub-format, as it can be easily implemented with existing workflows. 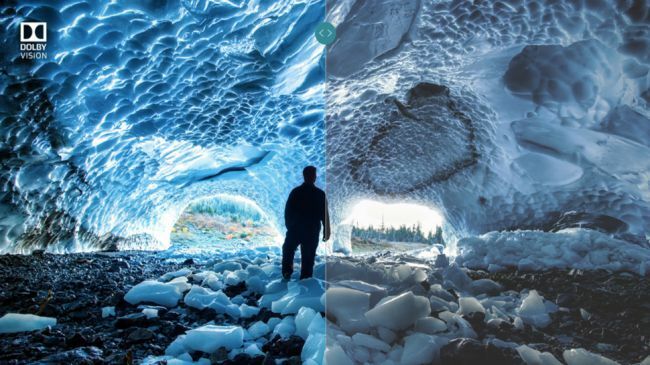 You have probably been shooting HDR already and not even known it. If you have shot on an FS7 in Slog-3 or a C300-MKII in Canon’s C-log, you technically have HDR footage. (You also need a 10bit camera, so the C300 with its 8bit MPEG 50Mbs is not viable, hence the C300-MKII.) Also, the beautiful thing is that Rec 2020 defines HDR as non-resolution dependent, so you can have 4k HDR or HD 1080 HDR. The grade is where the magic happens on this one. It is down to the colourist to retain the dynamic range of the image, and it is a relatively simple process to take a shiny HDR image and turn it back to plain REC 709. Admittedly, there is still a bit of a format war (as is always the case with these things) between Dolby Vision and the more open HDR-10, but this time it is more about encoding, than a VHS v. Beta argument. As more consumer and professional displays become available, demand for content will skyrocket. BBC iPlayer had a HDR beta test on capable televisions when Planet Earth II broadcasted, and Netflix is pretty much insisting that ALL original programming is REC 2020 and 4k. Early adoption is always a gamble, but as there is NO added acquisition cost, I think this one is here to stay.